Maquette reader Alexandra just wrote to tell me about her adorable shop full of delightful ephemera including this sandwich bag with cool font “delicious” that I could see scanning and turning into a giant poster for the wall. She also has a great assortment of letterpress letters for displaying on your bookcase or perhaps actually printing with. Maybe you could find your initials and print them on all of your snail mail letters? 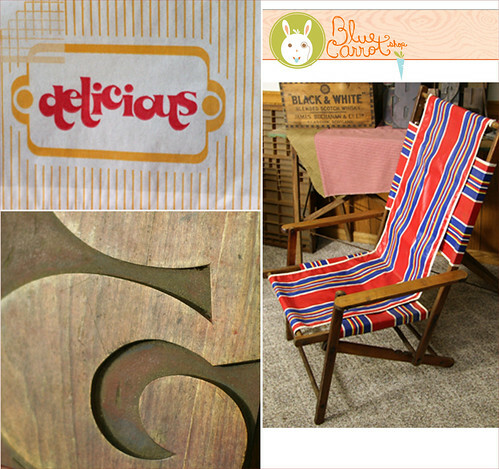 Also, just look at that cool vintage beach chair. I like it for indoors as much as out!